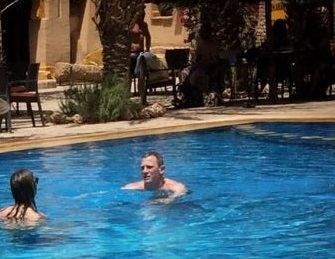 Monica Bellucci enjoyed her holiday in Croatia with her friend. 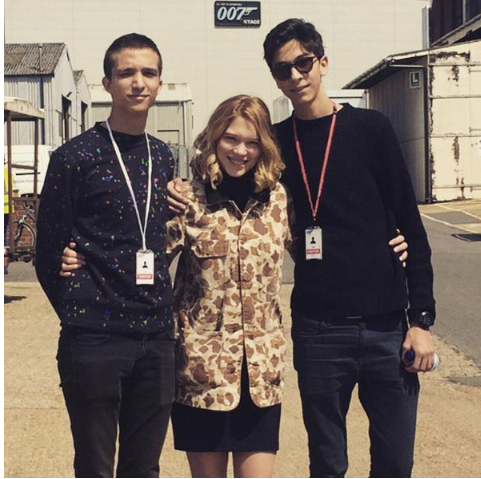 Monica will be seen as Bond girl Lucia Sciarra in "SPECTRE" (2015). 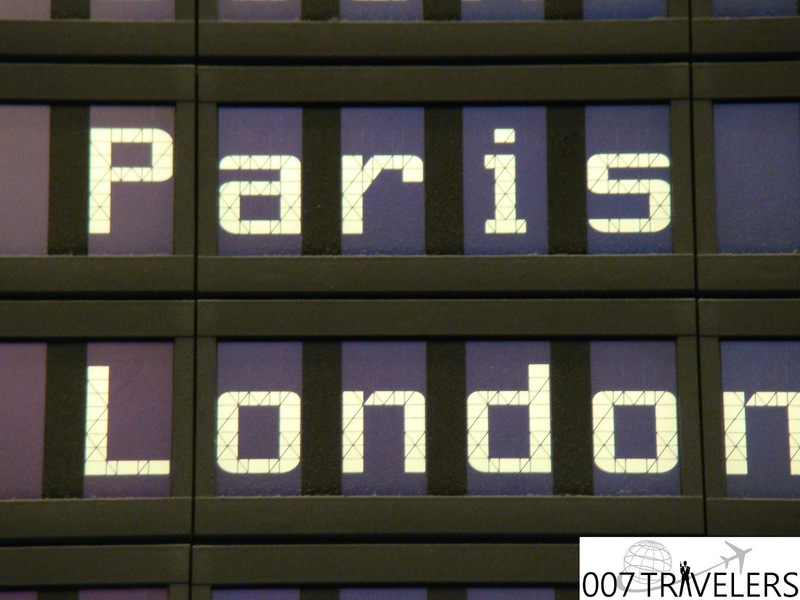 Eve Moneypenny appeared to be on an important mission! 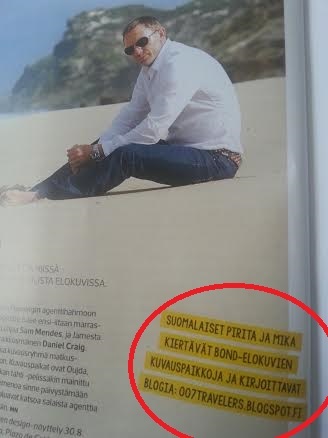 Finnish travel magazine "MATKAOPAS" 3/2015 writes about ""SPECTRE" (2015) filming locations. 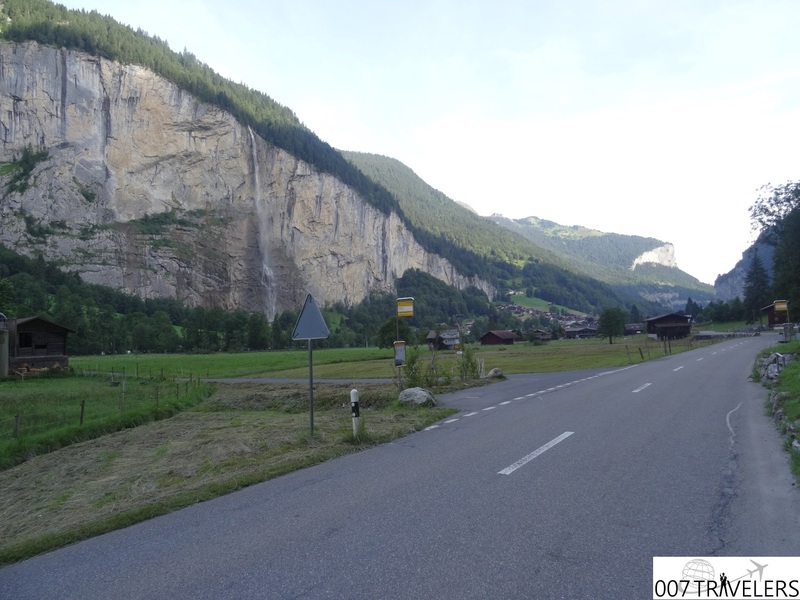 In this context 007 Travelers blog is mentioned. 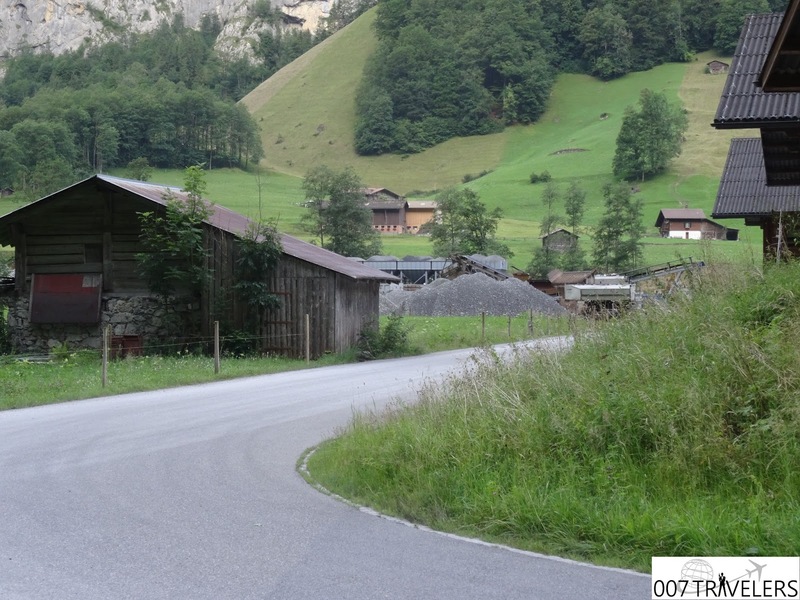 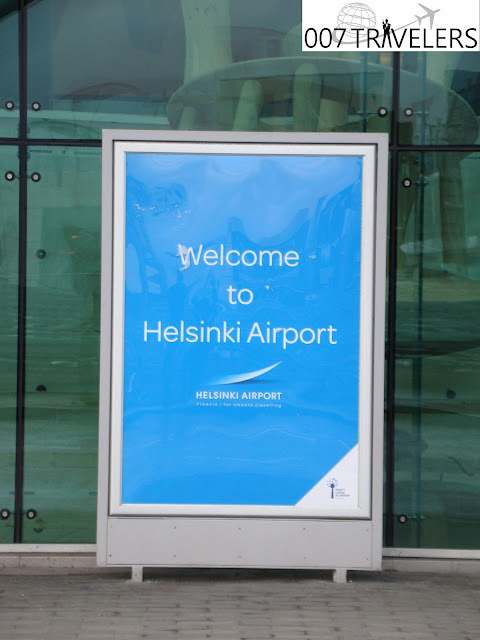 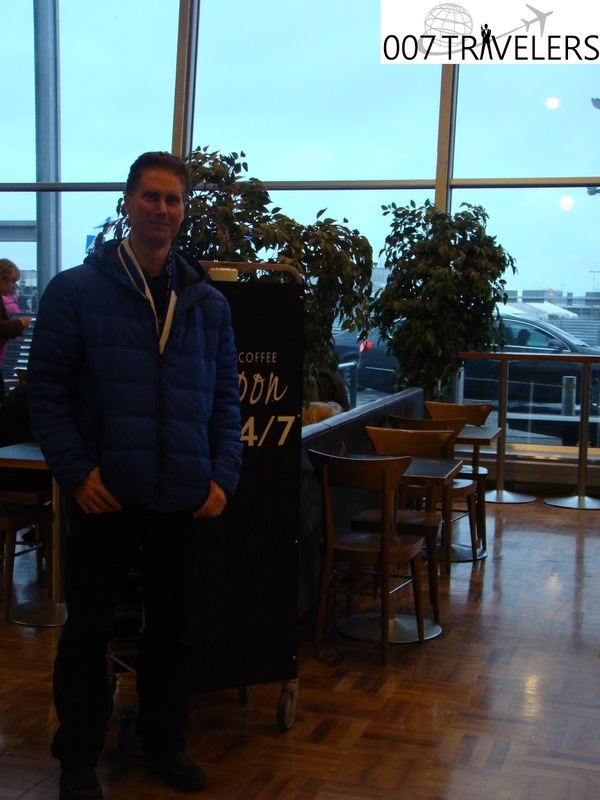 "Finnish Pirita and Mika travel around Bond filming locations and write a blog: 007travelers.blogspot.fi". 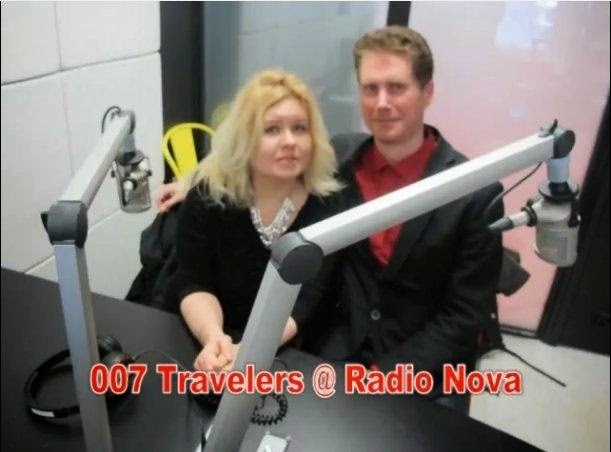 Interview of 007 Travelers coming up later this year in "MATKAOPAS" travel magazine! 1st of August 2015 – opening event with star-studded cast! 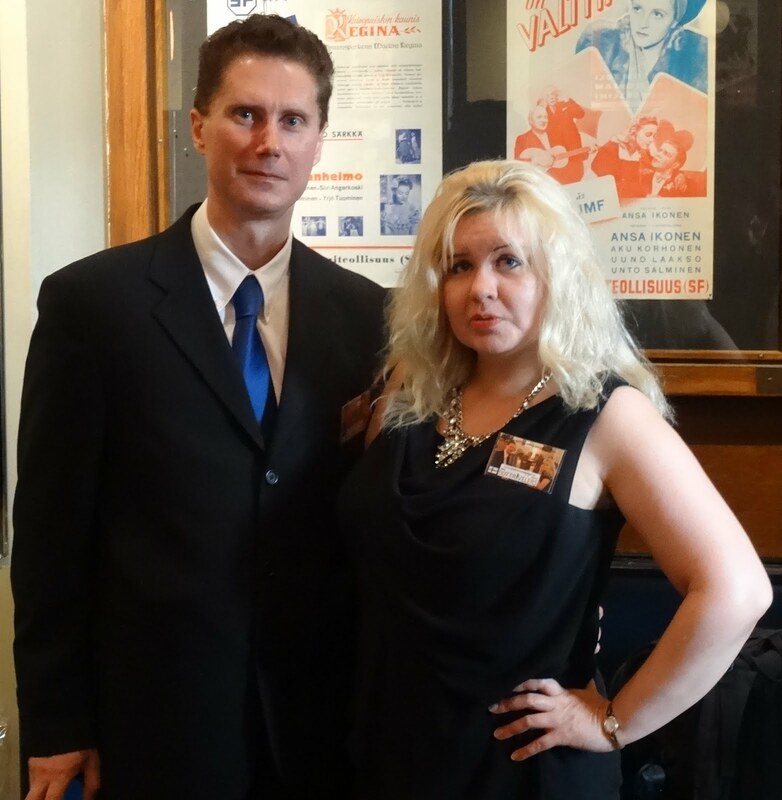 (The Jamaican Girl); John Glen, (director); Catherina von Schell, (Nancy) and Jenny Hanley (The Irish Girl). 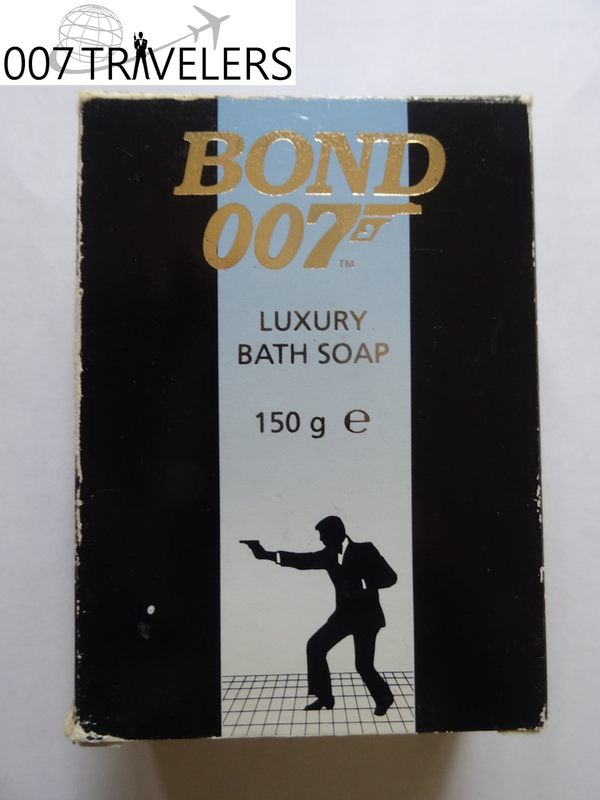 Stunt double Vic Armstrong – who has doubled for all Bond actors with the exception of Daniel Craig – and female stunt double Wendy Leech will also be there. The world‘s first 007 WALK OF FAME honours the stars in front of and behind the cameras during the filming of “On Her Majesty’s Secret Service”. Other celebrities from the world of James Bond 007 will also find their place on the Schilthorn. 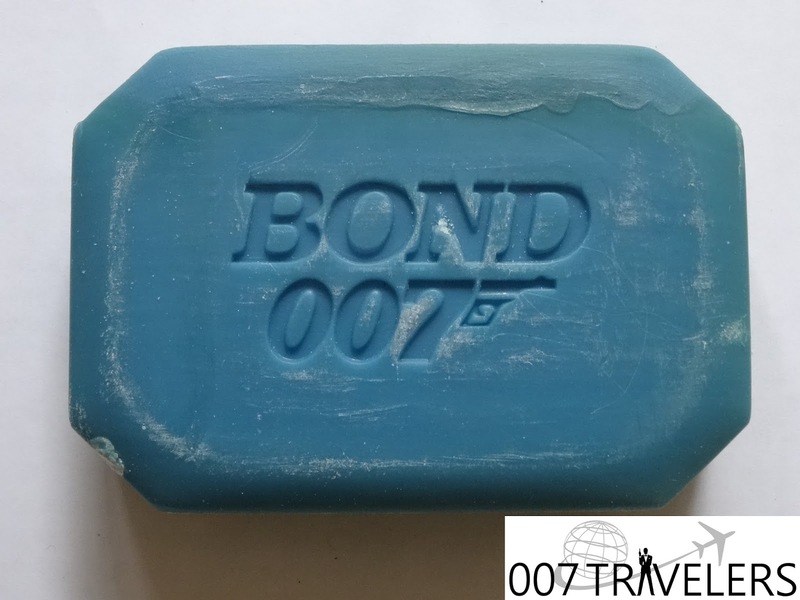 Impressions from these celebrities will live on forever: An information board will include their photo, their signature and their handprint in steel as well as a personal message. 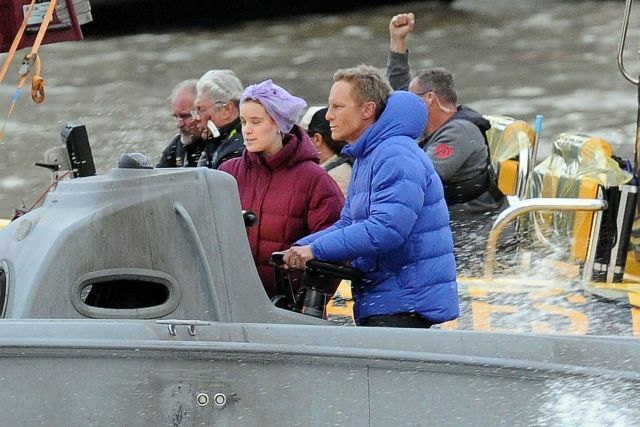 It will also describe the importance of the film to their career and their memories from their time on the Schilthorn. 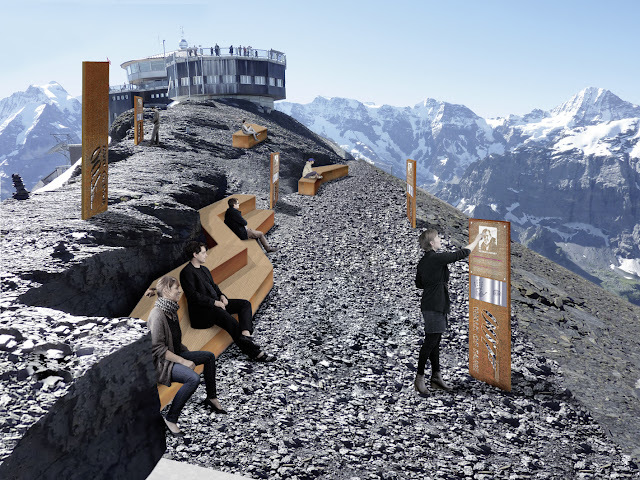 The panels form the 007 WALK OF FAME on the Schilthorn summit, a unique tribute to the legendary James Bond films. The Jamaican Girl in "On Her Majesty's Secret Service" (1969). Take a train from Interlaken Ost for Lauterbrunnen, from where a postbus takes you to the bottom station of the Schilthorn aerial cableway in Stechelberg. 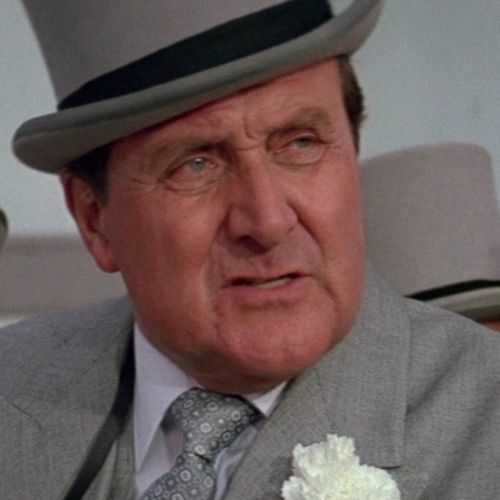 Sad news today: Patrick Macnee who played Bond's (Roger Moore) ally Sir Godfrey Tibbett in "A View to a Kill" (1985), has passed away. He died a natural death at his home in Rancho Mirage, California, USA. Wai Wong joins "SPECTRE" (2015) cast as Head of Nation China. 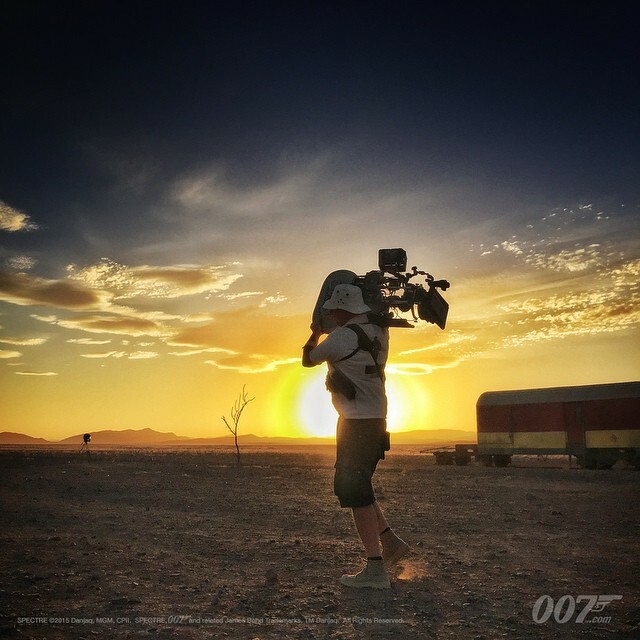 Second unit has already filmed exterior shots of the desert and a scene set to take place inside a train for a train sequence; the Oriental Desert Express (Ouijda to Bouarfa) in Ouijda, they have also taken establishing shots in Erfoud and Tangier. 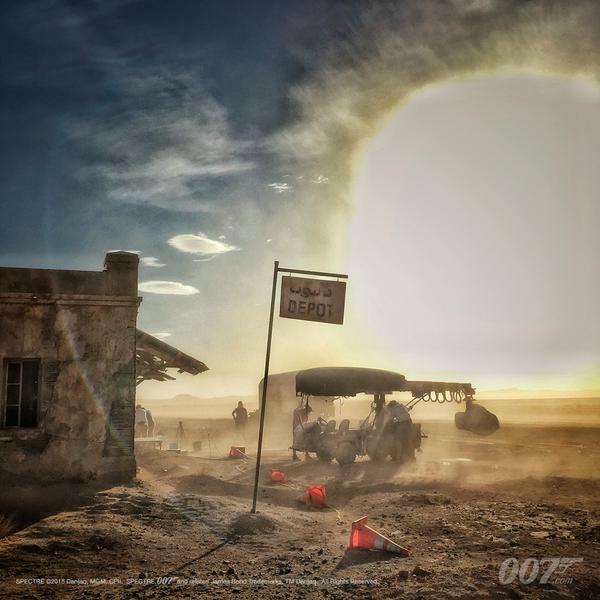 Near Tangier, "SPECTRE" crew has built a massive compound-set were Christoph Waltz’s character Franz Oberhauser lives. 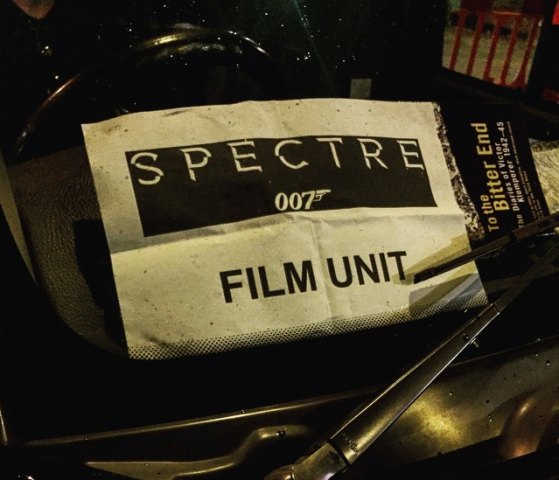 Filming of "SPECTRE" wraps up 5th of July 2015. 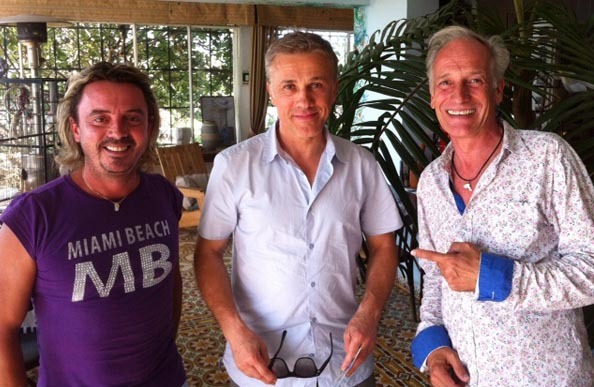 Christoph Waltz in Tangier, Morocco for "SPECTRE"
"SPECTRE" (2015) star Christoph Waltz is in Tangier, Morocco. 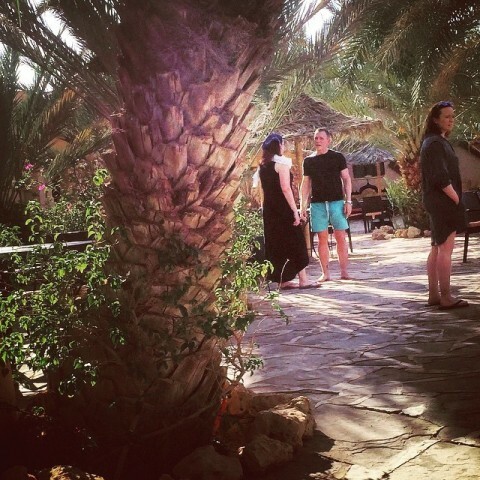 Filming places in the Kasbah are repainted, redecorated, furnished, accessorized and Moroccan extras hired. 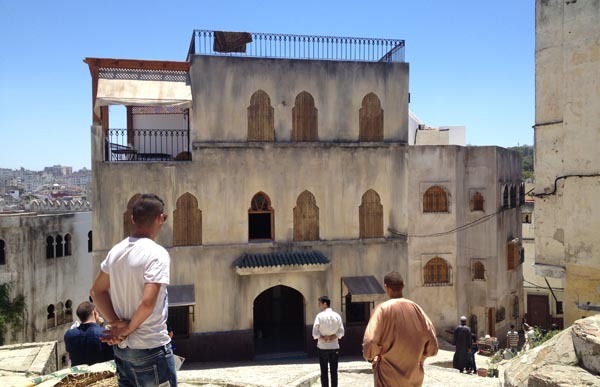 In Tangier, the shooting took place on June 20 in the Palace of Abdeslam Akaaboune which has been converted into hotel "The American". 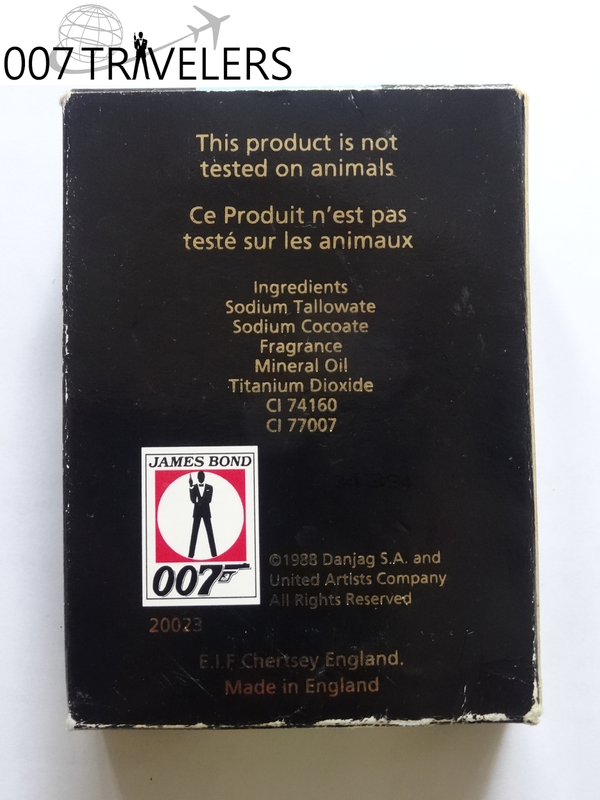 The pharmacy has become a cafeteria, all buildings have been painted with all the decorum. 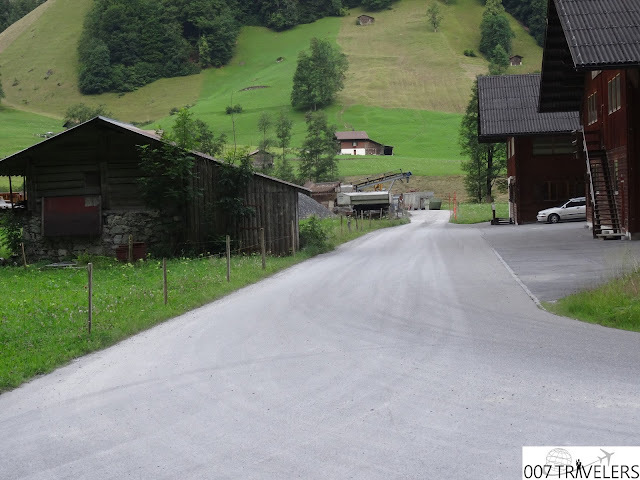 On 21 June 2015 the shooting took place close to the hotel Minzah. 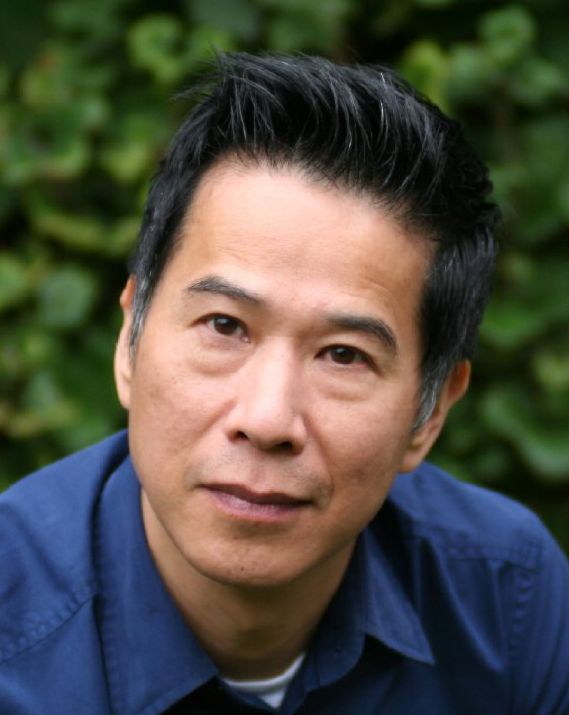 Due to confidentiality agreement, lips are sealed. 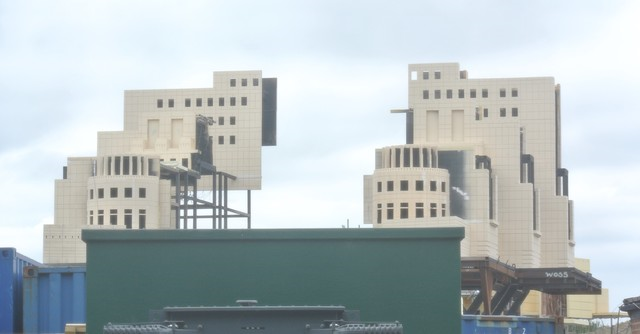 However it is said that many hotels have accommodation for the cast and crew. 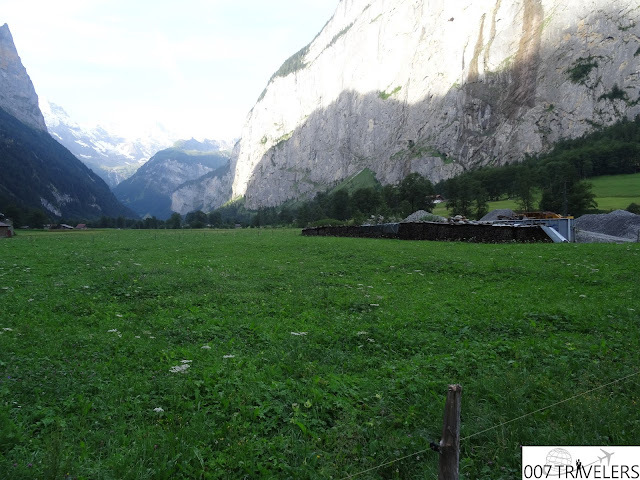 Hotel Minzah for Christoph Waltz, Mövenpick, Villa Josephine for Daniel Craig and the Bond girl. 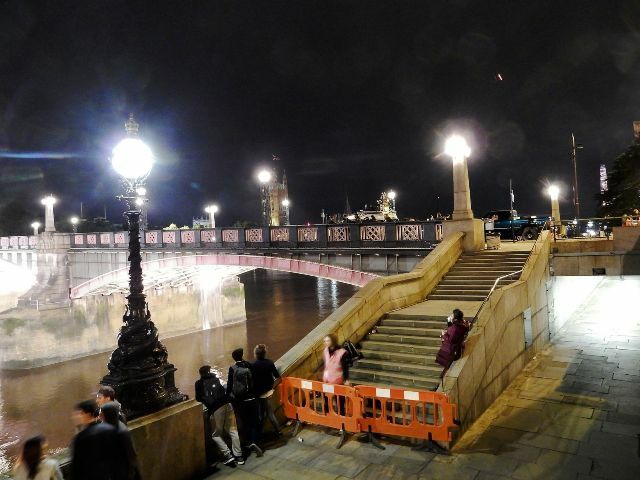 It is the Ramadan period but the restaurants that are open have reserved alcohol. 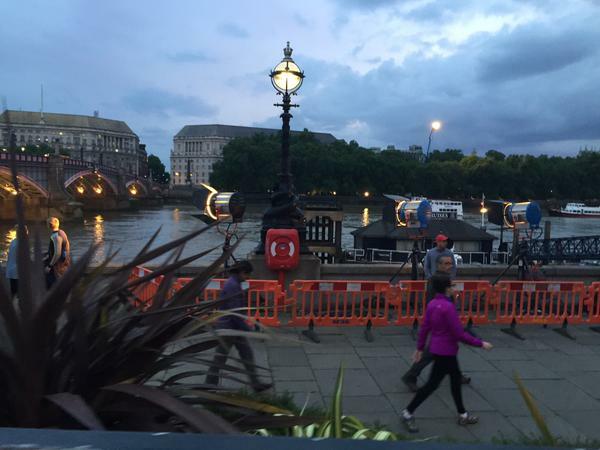 ﻿Lots of production trucks are parked in the vicinity of shooting locations. 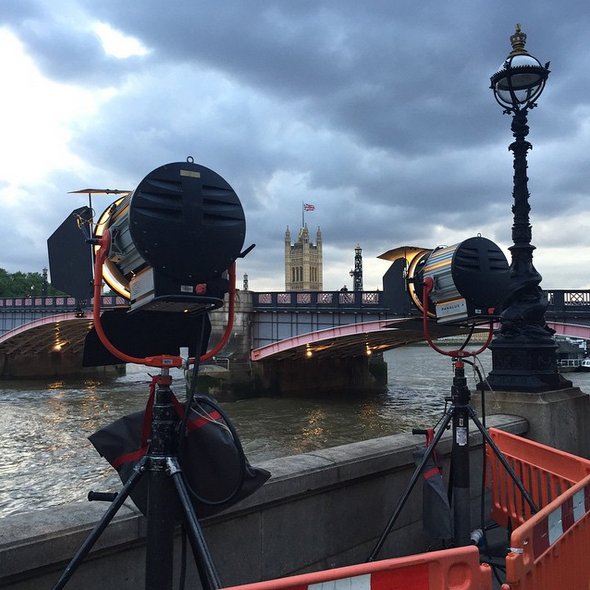 They carry electrical generators for the lighting, cameras, tents, sets, and costumes. 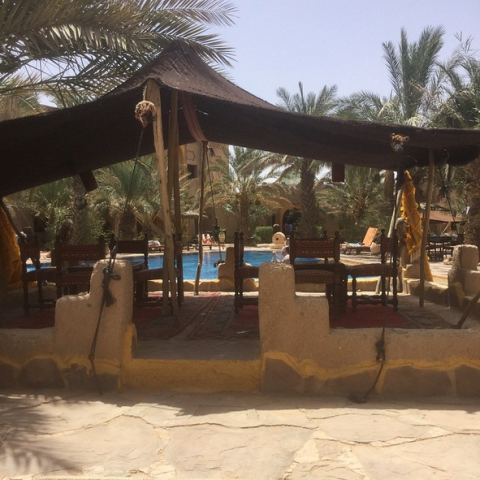 The palace turned into Hotel Akaaboune "The American". 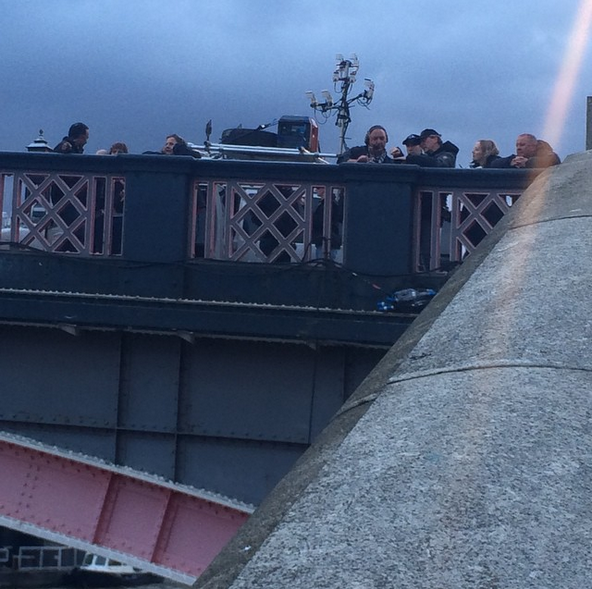 The security prevents taking pictures. At the bottom of the house was located the famous coffee shop Dahlia that was repainted for the filming purposes. 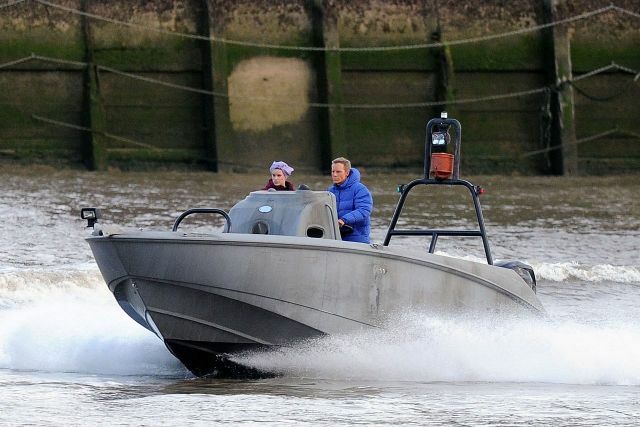 Left Café Dahlia painted by the Irishman Colin Watson. 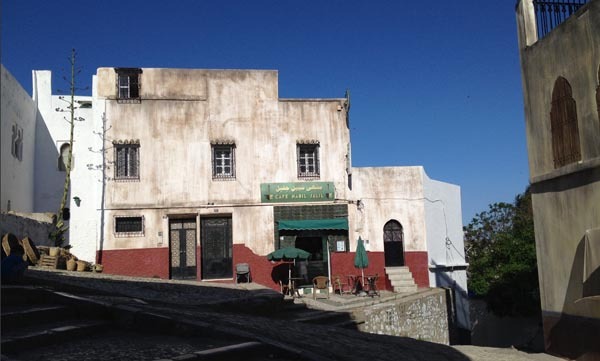 The Pharmacy instead was transformed into a coffee shop / bistro for the film and the facade of the house was aged. 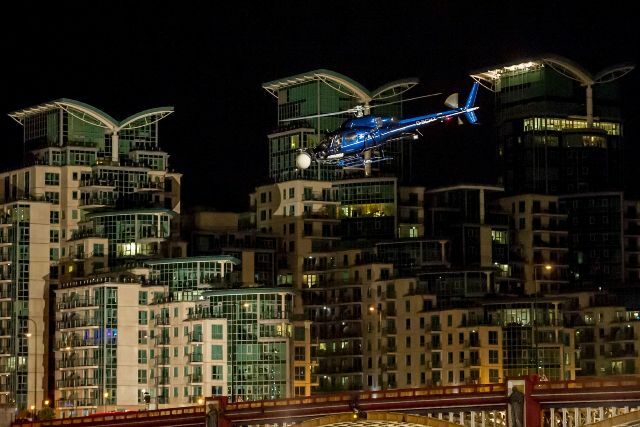 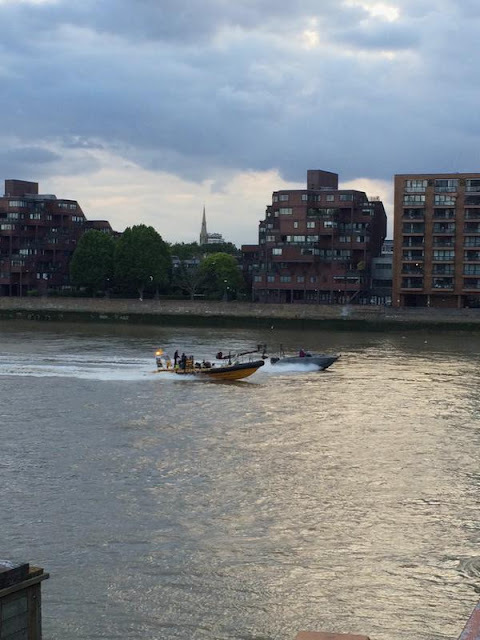 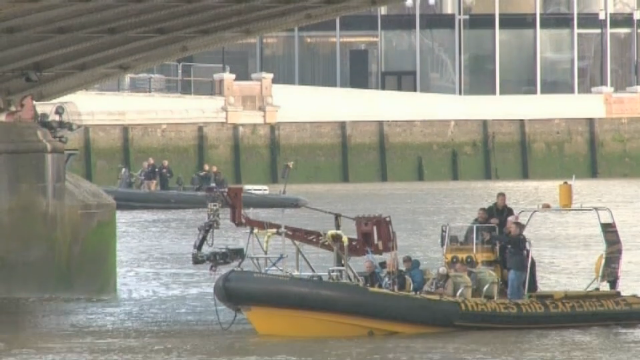 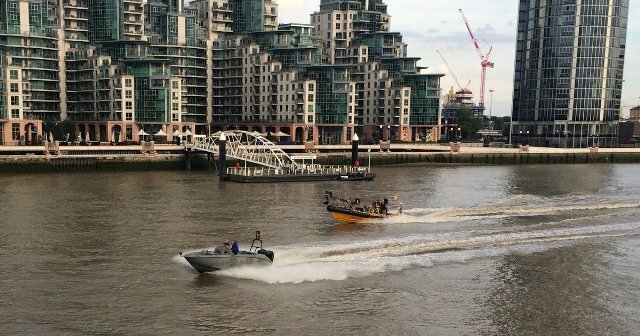 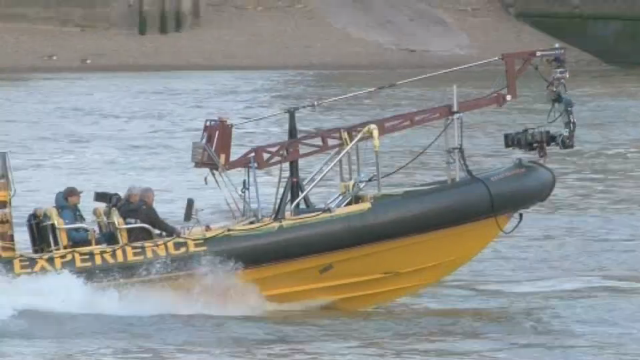 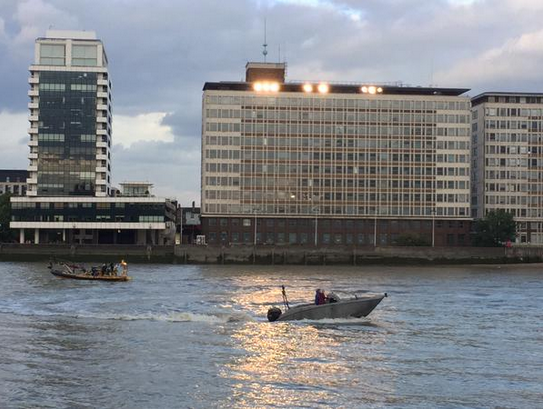 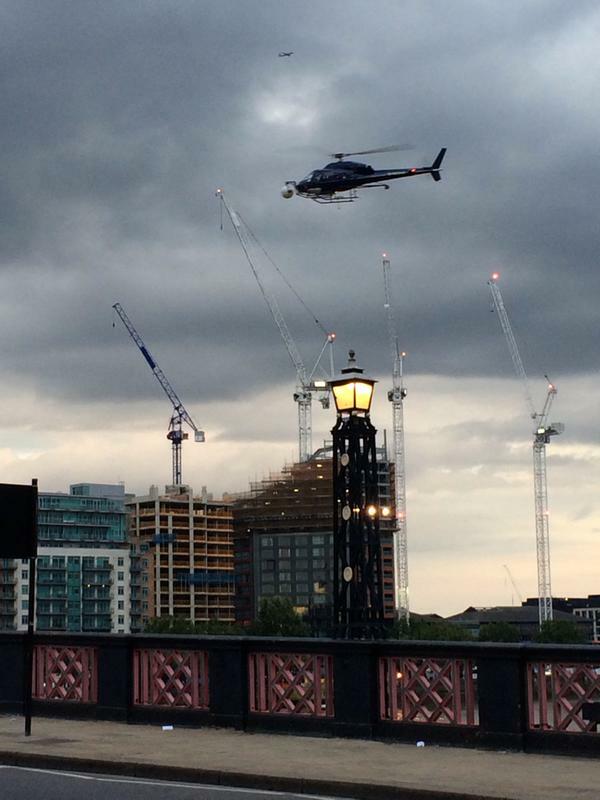 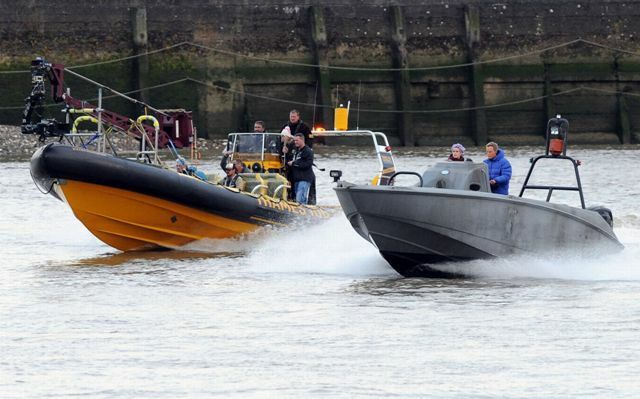 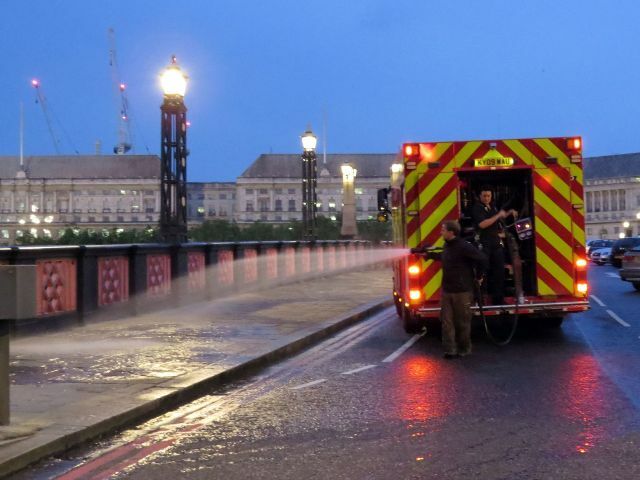 VIDEO: Glimpses of speed boats and a helicopter soaring through the skies late on a Sunday night could only mean one thing, the "SPECTRE" crew was back filming in London. 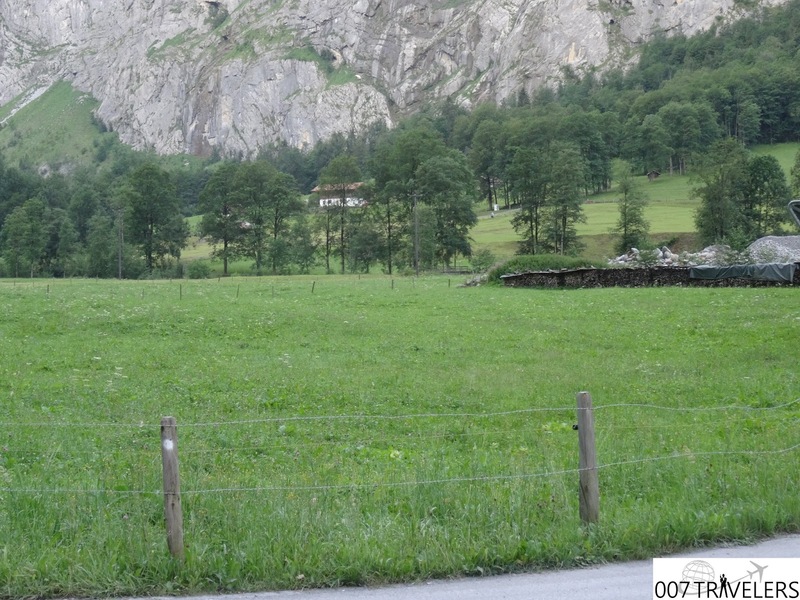 Päivi and Anton from Finland (Home country of 007 Travelers) can be seen too!